Our Farm ABC'S Blog Hop has begun! My other ABC'S Blog Hops have been well-received and are growing day-by-day. Whoo hoo! If you are interested, you can find them all here in alphabetical order or you can see a visual display on Pinterest here. If you have any questions about the hops, suggestions for future hop themes, or issues with linking up, please contact me at storytimeabcs(at)gmail(dot)com. And besides being a good resource, blog hops are just plain FUN! 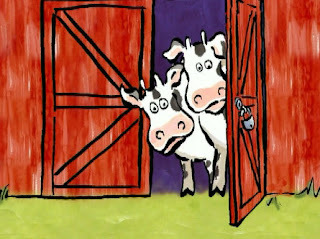 For this blog hop, we will be collecting all kinds of resources about farms and farm animals. To get us started, I am going to share a few resources from the different areas that my blog covers. This is a "spinning wheel" song prop for "Old McDonald Has a Farm" and for just about any farm song depending on which animals you choose to add to your wheel. Directons for making this storytime prop are shared here. 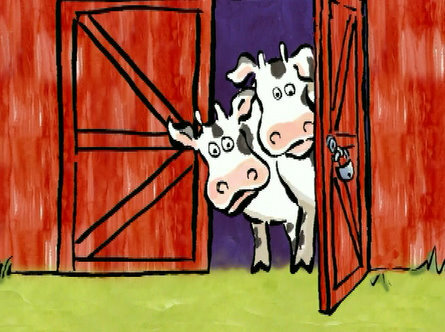 Here is a very popular book about some silly farm animals who love the mud. I have really enjoyed sharing some ideas to go with it. They can all be found in the blog hop. 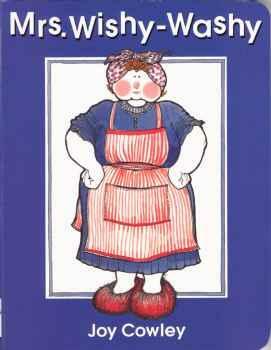 That is an example of the types of things we will be sharing on the Farm ABC'S Blog Hop. Please don't limit yourselves to just these categories though. Anything you post yourself or you find on the internet that is related to learning about Farms and Farm Animals is fine to link up. I am really looking forward to exploring what is shared! I'll mention one more type of post that I personally ADORE! 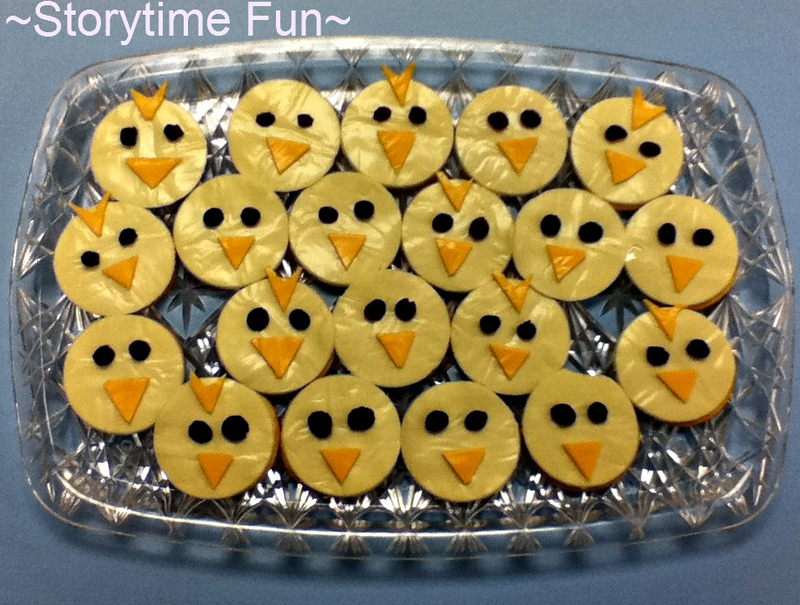 These cute chick crackers were a Fun Find from Super Target. I believe they are a regular product in the store. 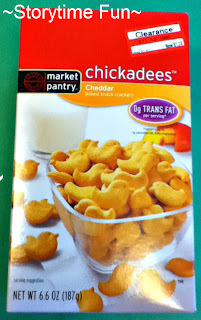 They are similar to the popular Goldfish crackers but they are shaped like little chicks. So fun and yummy, too! They are a great find at any price but I actually bought these on sale for $1.25 a box. Great price since I needed about 6 to 8 boxes for all my programs! 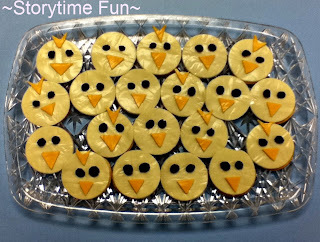 I used them for a counting game and also in a quick nest and chicks snack for our monthly Pajama Party. The little ones loved them! Okay, enough of me sharing already! We need to get to the nitty gritty of the Blog Hop so you can share, too. Write a blog post showcasing any activity, book, craft, snack, or other idea about Farms or Farm Animals or link to one that is already posted on your blog. 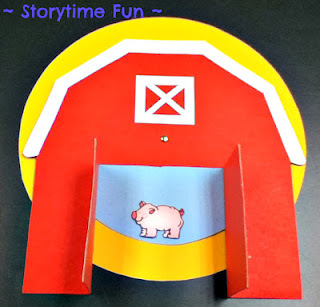 You can share a flannel or magnetic board set that you created for a song or fingerplay about Farms or Farm Animals. You can share an old classic children's book about Farms or Farm Animals that you love to share at storytime or bedtime with your child or brand new book about Farms or Farm Animals that you are adding to your "must read" list. 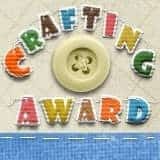 You can share your latest craft that you created yesteday or a yummy snack that you found on Pinterest and decided to try last week when it was rainy outside. You can even share a website that shows someone milking a cow, if you like! Anything about Farms or Farm Animals will do! It is all up to you! Next, add your link to this post by clicking on the "Click here to enter" link at the bottom of this post and following the instructions. Make sure you link to your specific blog post, not to your homepage. Then choose a picture and give it a caption. And the final step to making this a successful Blog Hop that benefits everyone ~ please click on "Get the code here" and follow the steps to adding the Blog Hop to your post. This step is what actually creates the links between all of the participating blogs so that a visitor to one blog will be able to visit any of the other blogs with just a click. Please don't forget to link-up! Another benefit to this step is that you will quickly see when another blog has linked up and you will be able to check out their contribution. That means less time blindly searching for new Farm or Farm Animal ideas for your next storytime at your library or circle time in your preschool class or playdate with your Mom's Group or your child's best friend. Be sure to grab the Farm ABC'S Blog Hop button if you link up or if you just want to share the fun of our Blog Hop with your friends and blog visitors. Oh, and I added a Farm ABC'S Blog Hop board on Pinterest. Check it out here. Got your question about where to put your blog hops...Well, I see you do a friday hop, that one you could add? How often do you do your hops? I could make a tap for you hopping all the time or you could just email me when you have a hop. I don't know. Good quesiton! I really think your hops are great and would love to have them just not sure. Maybe explain them better and maybe I could create an extra tab. Here is my email julie_marling@yahoo.com. Email me when you get a chance. Hi, Julie! Thanks for stopping by and taking a look. I will send you an email sometime this weekend. thanks for visiting my blog, you have a cute blog, I looked at a couple of your posts and they have wonderful content. I will be coming back to visit. Thanks for stopping by and taking the time to look around and leave such a sweet comment. I am so happy to hear that you will be coming to back to visit again. Thank you so much for stopping by my blog this weekend! I appreciate it!